As regular readers of my posts on OUPblog may have realised by now, I have an obsession with all things Victorian. 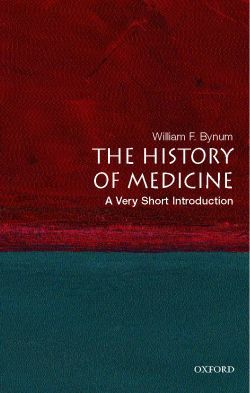 So, when I read this section of William Bynum’s The History of Medicine: A Very Short Introduction about 19th-century developments in public health I just had to share it with you all. In the fascinating excerpt below, he looks at the influence the rise of statistics and statistical societies had on the way public health was documented. ‘In the beginning was the Word,’ St John’s Gospel has it. Now, there is mostly the number. We live by the clock, follow the ups and downs of the stock markets or mortgage rates, experience the hottest, or wettest, month since records began. Contemporary society is permeated with numbers; they rule our lives. Public health evidence is inevitably numerical. If the public health movement was in large measure a product of the industrialization and urbanization that transformed the Western world from the late 18th century, it also relied on the numerical mentality that accompanied the profits and losses of the factory system, the harnessing of steam, double-entry book-keeping, and the national census. Like us, the Victorians felt overwhelmed with facts and data. Three dimensions to the quantification of medicine (and society more generally) should be highlighted: surveys, surveillance, and significance. The survey is the most basic. The 1832 Poor Law Commission has been described as the pioneering national survey, and it certainly was novel for its times. Chadwick and his fellow commissioners sent out a detailed questionnaire to each of the parishes responsible for Poor Law relief, and attempted to coordinate the relationship between poverty, overcrowding, and filth diseases. One of the first acts of Chadwick’s successor as the leader of the British Public Health Movement, John Simon (1816-1904), was a European-wide survey of vaccination and its effectiveness, in relation to the issue of enforcing compulsory vaccination. This survey convinced him that the way to prevent smallpox was to have an active policy of free vaccination. During his years in office, Simon gradually became disillusioned with persuasion as a tool to achieve public health ends, and under his leadership, Britain acquired a vaccination system that was publicly funded, free, universal, and compulsory, with penalties with non-compliance. Throughout the developed world, during the middle decades of the 19th century, the power of the number became appreciated. Social issues with medical ramifications were repeatedly investigated by surveys. Issues of poverty, child labour, factory conditions, food adulteration, water supply, prostitution, building standards, and, of course, epidemic diseases, all came under scrutiny. Investigating one issue often threw up others that called out for attention. For instance, concern with the employment of young children in poorly paid and grinding jobs raised more general issues of education and child health. Charles Dickens’s Mr Gradgrind was not the only one in 19th-century Europe who wanted ‘the facts’, and ‘facts’ increasingly came in a table or other quantitative form. If surveys threw up all kinds of medical and social issues, surveillance was a complementary strategy, aimed at systematically following trends or following up on troubling problems. Many surveillance structures have long histories. For example, from medieval times, French butchers could expect periodic visits from inspectors examining the meat they were selling. Markets and fairs were conducted under regulations. Borders, ports, and walled towns were manned, especially during outbreaks of plague and other epidemic diseases; people and goods could expect to be inspected. In any case, absolute monarchs and despots needed information about the comings and goings of their enemies. The FBI, CIA, MI5, and KGB have many forerunners, although most earlier networks of surveillance were concerned with security and control rather than with health. Once statutes are on the books, they need to be policed, and Medical Officers of Health, factory surgeons, port medical authorities, and the host of other individuals concerned with the public’s health because a visible part of 19th-century Western society. The starkest instance of the police functions of public health officials, as well as ordinary medical practitioners, is seen in the development of the concept of the notifiable disease. A number of local communities had insisted that cases of smallpox had to be reported to central authorities. From the 1880s, in the wake of bacteriology, national schemes were inaugurated and several diseases were identified as contagious and public health risks. Smallpox, scarlet fever, typhoid fever, and, eventually, tuberculosis and syphilis became diseases in which the risk to the general public was deemed greater than the value of privacy and individual treatment by a medical man. Medical practitioners were required to add surveillance to their other tasks (resistance to the bureaucracy lessened after they were paid for filling out the forms), and although MoHs and equivalent officials in different countries occupied the front line, all doctors were expected to serve in the ranks. The range of legal, medical, and ethical issues involved in surveillance is starkly seen in the famous case of Mary Mallon (1869-1939), ‘Typhoid Mary’. This Irish-born woman served as a cook for a series of wealthy New York families in the first decade of the 20th century. She was completely well but displayed all the characteristics that Robert Koch had recently identified as the ‘carrier state’, that is, she shed the bacteria of typhoid fever without suffering from the symptoms herself. She infected members of several families, and the isolated outbreaks were investigated by public health officials. A female immigrant, with limited education, and conscious of no wrong-doing, Mary was nevertheless a public health hazard, and incarcerated for her ‘crime’. Surveying was the actual activity of officials intent on uncovering new associations; surveillance became the duty of all doctors who encountered a patient with a notifiable disease. Statistics became the expertise of those especially trained to understand the nature of correlations and causations. The modern public health movement emerged simultaneously with statistical societies, and for many of the same reasons. Both were responses to industrialization, and the movement and the societies were peopled by many of the same concerned individuals. Although the mathematicians of probability had been developed from the late 17th century, its contemporary mathematical partner ‘statistics’ was in the early 19th century much less sophisticated. Statistical societies were mostly devoted to collecting many observations and presenting these in tabular form. The introduction of civil death registration in many European countries led to annual presentation of tabular causes of death, and at the same time required international attempts to standardize diagnostic categories. Although many of the symptom-based disease categories (such as ‘fever’ or ‘jaundice’) had to be abandoned as diseases in their own right, nosology still maintained its importance, as doctors both nationally and internationally wanted to be certain of the diseases that were put on death certificates or annual hospital reports. Of equal lasting importance, ‘significance’ entered statistics, originally through the work of Charles Darwin’s cousin, Francis Galton (1822-1911). Galton became intrigued with the nature of heredity, and developed mathematical methods to examine the relative contributions of both parents, as well as grandparents and other ancestors, to the inherited makeup of an individual. As the father of eugenics, he was especially concerned with what he perceived as the differential birth rate between feckless poor and responsible middle-class parents. He measured many human attributes, such as height, longevity, muscle strength, and ‘success’ in life. He put inheritance into the public health equation, in a field that had hitherto mostly concerned itself with environmental issues such as overcrowding and dirt. After Galton, both ‘nature’ and ‘nurture’ had to be considered. Although Galton trained in mathematics and medicine (her never practised), it was his disciple Karl Pearson (1857-1936) who placed statistics at the centre of both experimental science and clinical medicine. Our notions of significance, with its ‘p’ value (the level of 95% confidence that the variable being measured is correct), owe much to Pearson. He studied inheritance in tuberculosis and alcoholism, but he was mostly interested in the role of inheritance in evolutionary biology. His pupils and followers placed mathematics at the centre of epidemiology and the evaluation of new therapies through the development of the clinical trial. These 20th-century developments have transformed the simple surveys and tabulations of earlier public health advocates. But the 19th-century message of those concerned with diseases within the community has stuck: facts are important, and so are numbers. The méthode numérique that Louis used so well within the hospital had resonance outside of it. Data had to be evaluated, in the hospital, community and the laboratory, and the mathematical and statistical tools to effect this have gained increasing importance in modern health research and disease prevention.